New federal data has found the commuter rail trains broke down on the MBTA last year more than any other transit system in the country. The Federal Transit Administration report released this week finds there were 338 mechanical failures in 2016, which exceeded the transit systems in New Jersey and New York. The New Jersey Transit Corporation had 236 breakdowns — 30 percent fewer than the T, followed by the MTA’s Long Island rail, at just 132. 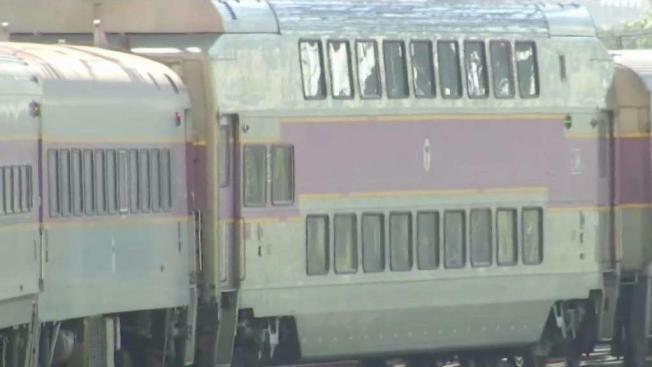 "It’s fair to say this data confirms what a lot of commuter rail riders already know: This system is not working as well as it needs to to meet the needs of the people who rely on it," Chris Dempsey, the director of the transportation advocacy coalition, Transportation for Massachusetts told the Boston Herald. Keolis officials have acknowledged to the paper the first-place status in breakdowns but say they are making efforts to add more trains and limit cancellations. The MBTA is also planning a $30 million overhaul on a new set of locomotives. "The MBTA has been working closely with Keolis to improve performance and reliability through hundreds of millions of dollars in both infrastructure and rolling stock improvements," MBTA spokesman Joe Pesaturo said. "Forty new locomotives have replaced many of the decades old locomotives that were unreliable."